Agent Coulson Will Join S.H.I.E.L.D...Again. This past week saw some terrible news rock the comic book industry. I don’t want to go into too many details regarding what happened, but I’ll sum it up as best as I can here. 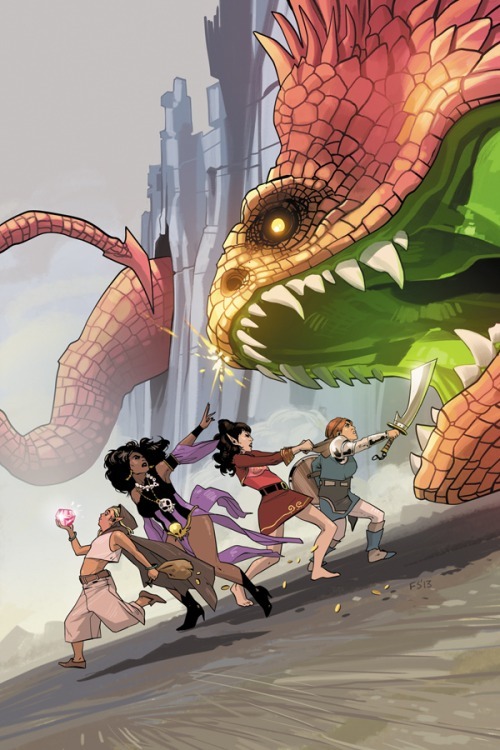 Roc Upchurch, artist on Image’s series Rat Queens was arrested for assaulting his wife after she allegedly attacked him. The couple has been in the process of getting a divorce and things got heated and led to violence. THINGS SHOULD NEVER LEAD TO VIOLENCE! That’s about all I’ll say on the subject. Bleeding Cool has more on the story and while I am all about crediting sources, I refuse to link to that rumour mill so seek out the story yourself if you want to see it from the site that broke the news. That being said, Kurtis Wiebe was put in an impossible situation after this news broke and was left trying to figure out what to do. For some context before I dive into this some more, Kurtis is an amazing human and one of my favourite people in comics. He was one of the very first guests that we ever had on Talking Comics and came on the show when we didn’t really have much to offer other than a place to talk about his work. Kurtis is incredibly hard-working and has been a writer providing us with amazingly original stories for several years now. Kurtis and his fiancée Shannon just had a baby… a beautiful little girl named Willow. It’s also worth noting here that Shannon created and runs the Rat Queens merch and she is AMAZING at it. Kurtis did not abuse anyone. Kurtis has lived through abuse himself and has been a constant advocate for getting help, supporting women and even speaking out about eating disorders. Yet all of these fans of Rat Queens heard the news about Roc and without letting Kurtis or Image make a statement said “I’m dropping Rat Queens!” which was incredibly disappointing to see. This is a difficult and upsetting statement to write. I couldn’t have imagined something I love so dearly would become connected to domestic violence. After a few days of reflection and going through a roller coaster of emotion, I’ve realized I’m not angry about this revelation. I’m deeply saddened. When you work with someone so closely on a project that is so personal, you are much more than creative collaborators, you become friends that feel like family. I have a lot of love for Roc Upchurch, I’ve spent a lot of time with him, at conventions and signings and quiet times over dinner when the crowds have gone away. Shannon and I have spent time with his wife, whom we admire greatly. With everything that has happened, I still care about and love Roc and my greatest hope is that in all this there is an opportunity to find help and for healing to take place in his family. They are never far from our thoughts. I’m not a stranger to domestic abuse. I know that keeping abuse a secret and being afraid to speak about it are why so many people suffer in silence. It is a topic that needs to be openly talked about and there needs to be a feeling of safety and acceptance for those that come forward with their stories. It is why I am addressing this news rather than burying my head in the sand. I know many readers are asking the ultimate question: What now? I was on vacation with my family when the news broke and I’ve spent the past few days debating what to do. Rat Queens has always meant a lot to me. I’ve poured my heart into the series, and through it I’ve shared my life, revealed my fears and insecurities and it’s helped me cope with lifelong struggles of body image and confidence. I want you to know that Rat Queens means the world to me on a personal level and my mission for the series is unchanged. I want to write stories about women that I see in my everyday life, about friendship and to make comics that include and embrace diversity. As of today, Roc Upchurch will no longer be illustrating Rat Queens. This is going to be a transitionary period for the series as we rebuild and prepare for a new start. I am committed to Rat Queens, to stand by what it has always been praised for and to prove to the fans that they weren’t wrong in loving it. Thank you for your understanding in this difficult time. As a Vancouver resident, I encourage contacting Domestic Abuse Services to learn how you can get information about abuse or make a charitable donation. I’m urging you all to take this into consideration before you decide to drop the title. Kurtis is half of this amazing series that you have all loved up to this point. Continue to support it so that Kurtis can support his family and continue to bring us brilliant work. We owe him this much. Rat Queens #9 is out on December 10, 2014. This is nuts. I had no idea what was going on but I was wondering what had happened to the shipping schedule of Rat Queens. To be honest, I was considering dropping the book just because it wasn’t coming out regularly but after reading this, I’ll be sticking with it. 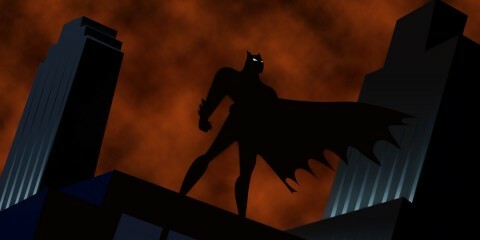 This title has meant more to me than its creators, and its worth to me extends beyond its creative team. I wouldn’t dream of dropping it.